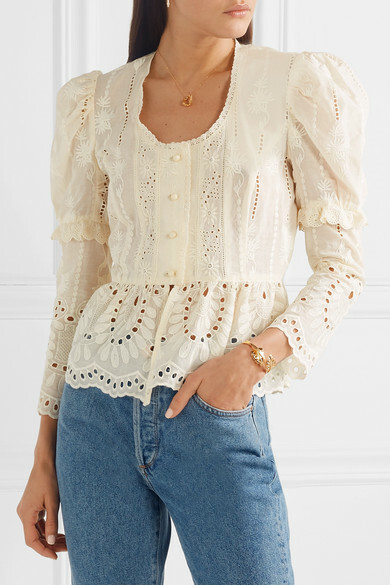 Puffed sleeves were one of the biggest takeaways from the Spring '19 runway - a trend that fits right in with Anna Sui's romantic spirit. 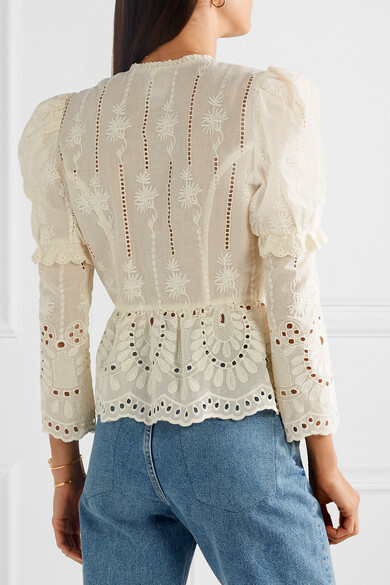 This 'Wild Jasmine' blouse is made from lightweight broderie anglaise cotton and has a peplum hem that highlights the smallest part of your waist. 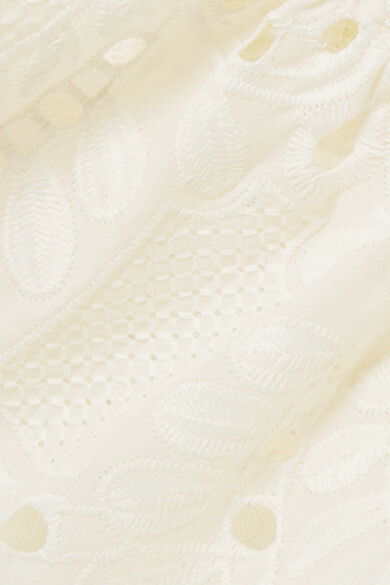 Wear it with jeans or the matching skirt. depending on the occasion. 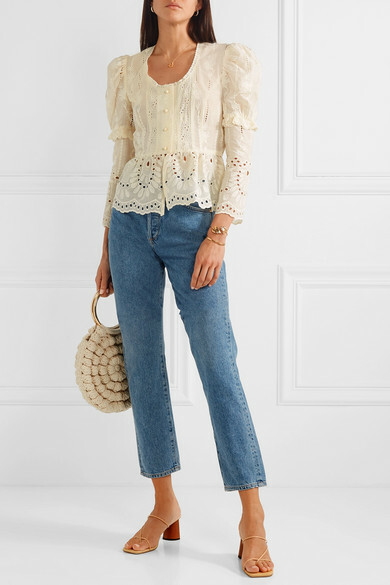 Shown here with: Goldsign Jeans, Ulla Johnson Tote, REJINA PYO Sandals, Alighieri Necklace, Isabel Marant Earrings, Chan Luu Cuff, Aurélie Bidermann Cuff.